I’ve rounded up my Favorite Holiday Home Decor for you today. Is anyone feeling like me and just craving simplicity this holiday season? Maybe it’s because we are knee deep in building The Forest Modern and I have little time to do any decorating. I’m finding though that simple touches of seasonal decor is all a home needs to feel festive. Instead of buying holiday decor that you can only enjoy for a month or even a couple of weeks, consider buying pieces that you can use year round. Like this marble and brass bowl. 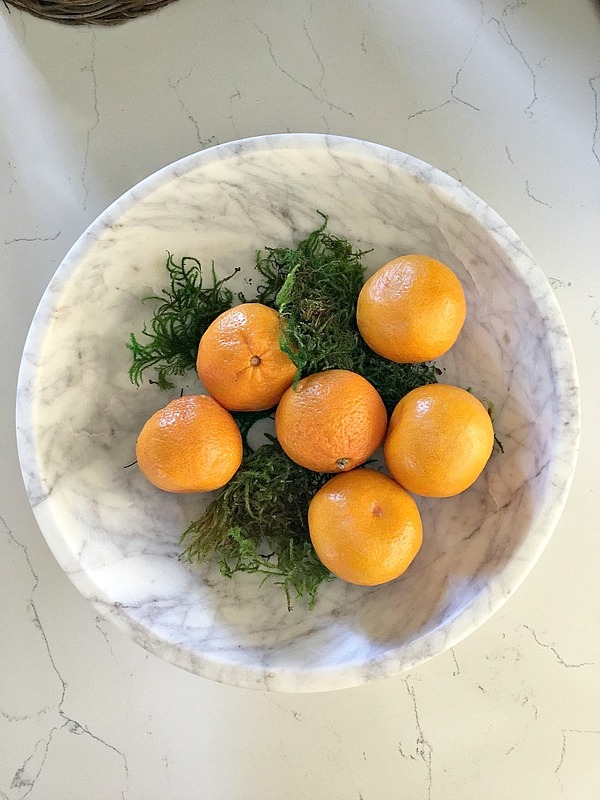 Add some ornaments and greenery to make it look festive or simply use it as your fruit bowl like I am. « The Forest Modern: Drywall is Complete!! 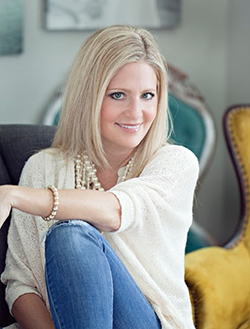 I recently just discovered your beautiful blog and am following your instagram, which I am new to. 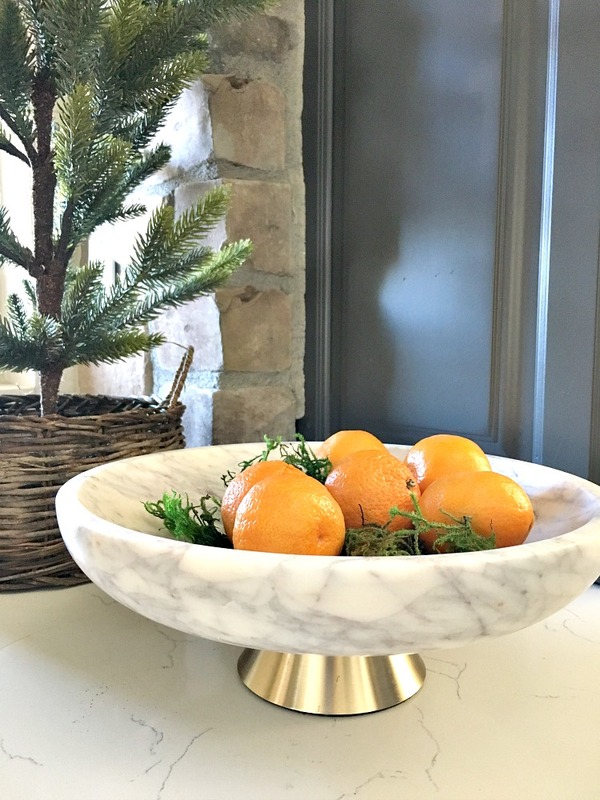 I just purchased the marble and brass bowl and I love it! Thank you for all the inspiration. Can’t wait to see what you do with the Forest Modern! Hi Pam! Thank you for leaving a sweet note and for following along! I love that brass bowl so much I had to get another one! Happy New Year!